Get on-the-spot answers to your questions about psychotropic drugs with this unique resource. It offers both an in-depth, narrative overview and quick-reference drug profiles so you can access the information you need in any setting. 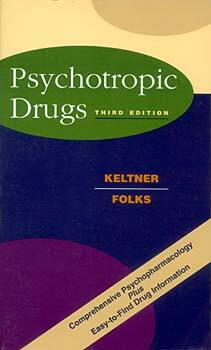 The comprehensive, user-friendly format consists of 21 narrative chapters that discuss the biologic basis of psychopharmacology and the uses of psychotropic drugs for specific psychiatric disorders, plus a series of brief profiles for some of the most common psychotropic drugs listed by generic name. Presents updated content and all-new chapters on pharmcokinetics, amnestic and dementia disorders, sexual disorders, and herbal medicines. Contains an easy-to-use two-part format with narrative chapters (Part One) and succinct drug profiles (Part Two). Includes introductions to psychotropic drugs and psychiatric care, with a review of neuroanatomy and an overview of psychiatric care as it relates to pharmacologic treament. Focuses on the major categories of drugs used in psychiatric care so you can quickly reference the most relevant drug facts. Reviews electroconvulsive therapy, drugs of abuse, central nervous system stimulants, and drugs used to treat extrapyramidal side effects of psychotropic drugs. Includes chapters on the psychopharmacologic treatment of children, adolescents, and the elderly to address age-related issues.